Home Press Release AirAsia’s Red Hot Seat Sale is back! 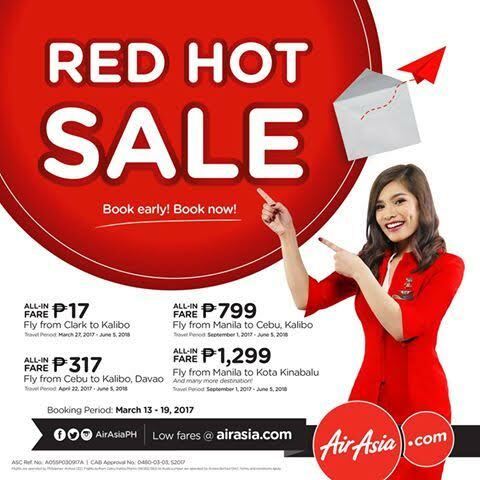 MANILA, 13 March 2017 – AirAsia is giving away seats from as low as P17 in its first major promotional seat sale of the year. *One-way base fare excluding taxes and fees. Terms and conditions apply.? Next articleKonnichi-WOW: Win a Free Trip to Japan with TravelBook.ph!